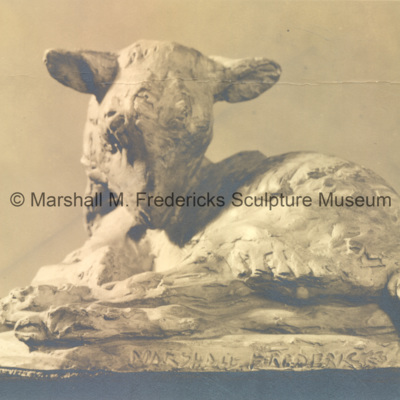 Small plaster sculpture of a young lamb laying down. The piece has been painted rust red. 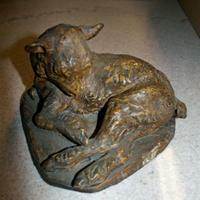 Small plaster sculpture of a young lamb laying down. 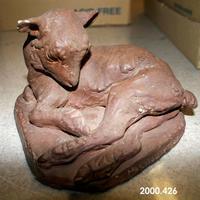 The piece has been painted brown. 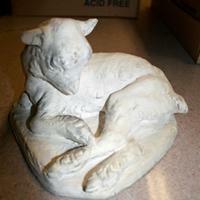 Small plaster sculpture of a young lamb laying down.